In the heart of Provence Verte, Château La Lieue cultivates an exceptional vineyard in Appellation d'Origine controlled Coteaux Varois in Provence. The 75 hectares of vines are treated in organic farming, certified Ecocert. No weed killers, no insecticides and no chemical or synthetic products: at Château La Lieue the vine rows are traditionally plowed and then enriched with organic manure, copper and sulfur. The fifth generation of the Vial family maintains this passionate relationship with nature and the terroir. The result is high quality grapes, giving wines that rank among the greatest references of the appellation. The Château La Lieue illustrates the character and philosophy of the wines of Provence. Between Aix en Provence and Saint Tropez, the domain nestles in the middle of hilly lands covered by the Mediterranean forest: umbrella pines, oaks, junipers. The sun, generous, ensures a good maturation of the grapes while the freshness of the night retains a slight acidity. This very special terroir is the object of all the attentions of the winegrowers. Here, nature is queen and Château La Lieue has adopted organic methods more than 20 years ago. The AOC Coteaux Varois wines in Provence of Château La Lieue are emblematic of this "limestone Provence" with its cuvées full of sun. 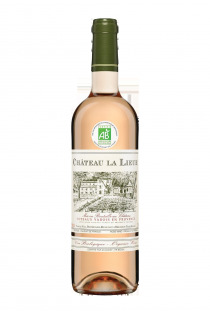 True to the reputation of the Coteaux Varois in Provence, the red wines of Château La Lieue are distinguished by their fruity and silky tannins. Grenache, Syrah, Carignan and Mourvèdre find here a wide field of expression, valued by the biological cultivation of the estate. 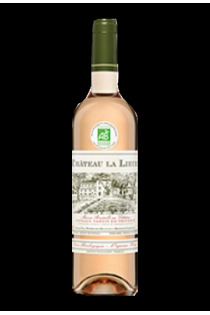 The rosé of organic Provence from Château La Lieue is distinguished by its reddish-red color and spicy aromas. The Batilde Philomène cuvée contributed greatly to the recognition of the work of the winegrowers. Finally, the Chardonnay wine, in white wine is one of the great names of white Provence wines with its lychee aromas and its Mediterranean freshness.